At DSI, we’re strong believers in business community involvement. It’s a core part of our company values, and part of what distinguishes us from our larger competitors. We strongly encourage all businesses to get involved with their community. By doing so, businesses can send a strong message about their company values. It’s also one of the many ways which companies can make a positive impact on society. By leveraging economic power, they can be the change they wish to see. However, businesses also should engage in community involvement because of the many salient benefits it produces for the business. Here are many of the things research tells us about business involvement, and a few ideas to get started with social responsibility. 1. Builds a positive reputation. The community in which a business operates isn’t simply a pool of potential customers for them to exploit. It’s an ecosystem which can make or break a business according to how well they treat people before they’re even customers. In the era of corporate social responsibility, companies must pay attention to their image in the community. Building a positive reputation gives people one more reason to come back rather than go to a competitor. 2. Increases employee engagement and reduces turnover. Want happier employees and lower turnover? Get involved with the community. Some 64 percent of millennials take into account a company’s social commitments when choosing where to work. Business community engagement likewise tends to attract creative, innovative, and high-performing people. This is true because these people want to work where they think their efforts will matter. Likewise, community involvement has many positive effects on current employees as well. Some 71 percent of employees who volunteer in the community through their employer report an increase in job satisfaction and engagement. 3. Involvement creates networking opportunities with other businesses. Reaching out to a community brings businesses into contact with other businesses, many of whom are not competitors. Working with other local businesses towards a common goal fosters the local economy and both businesses’ culture. Additionally, a company can leverage these connections by providing thoughtful recommendations to their customers when they’re looking for a product or a service. This boosts the value of what a company provides to its customers and reaffirms their commitment to the community. 4. Boosts sales and revenue. In 2015, Verizon launched Project ROI to examine the influence corporate social responsibility has on boosting company revenue. They found that a public commitment to community increased revenue by as much as 20 percent. Furthermore, many customers would happily pay more to purchase goods and services from such a company. Indeed, millennials especially will spend more on products they want, from companies they believe in – and people overwhelmingly believe in social responsibility. It’s no longer enough to simply have a good product and a smart marketing campaign to drive sales. Consumers want to see that brands are worthy of their trust and dollars. 5. Gives you an edge over national corporate competitors. Community involvement is a form of advertising for companies’ values and culture. It also is a unique advantage in which small businesses have over national corporate competitors. This is a powerful combination that startups and small businesses should deploy as part of their branding efforts. Small businesses especially have closer natural ties to local communities. Employees tend to live and work in the same geographical area. As such, they bring a more intimate awareness and connection to the immediate community. In this instance, community commitment is an indirect way of expressing a commitment to their employees’ wellbeing. Improving the well-being of the community is a long-term strategy for business growth. When the community flourishes, businesses perform better. Research increasingly validates the impact which businesses have on employees, community, and wider society. 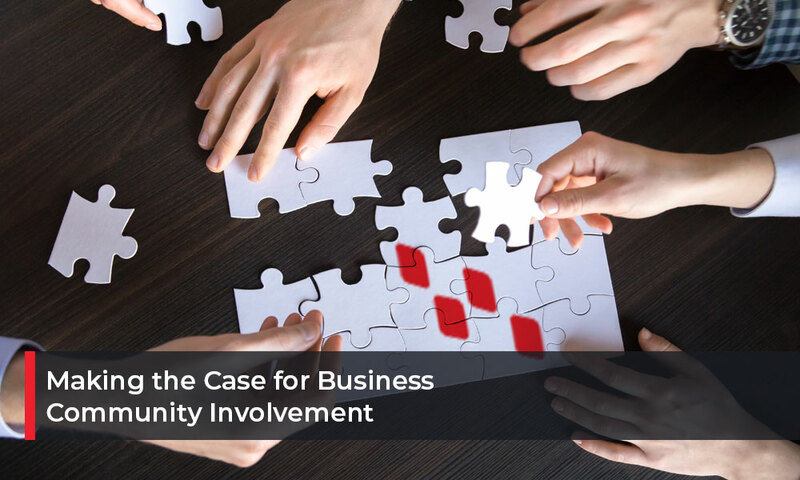 Business community involvement comes with a whole host of benefits for companies, employees, and the community itself. It builds relationships, positively impacts causes, and helps create a better world. At DSI, we encourage our employees to volunteer for the many causes which appear in their communities. Is your project in need of volunteers in New Mexico? Get in touch to request volunteer support or to learn how DSI can support your cause.